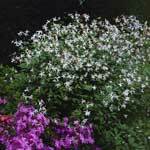 Easy Summer Flowering Shade Plants. A fine strain with large dark blood red flowers in a multi-headed cyme and deep purple new growth. 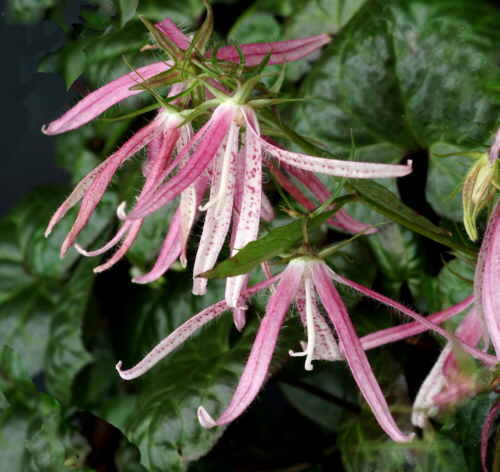 Named after the plantswoman from Lincolnshire. 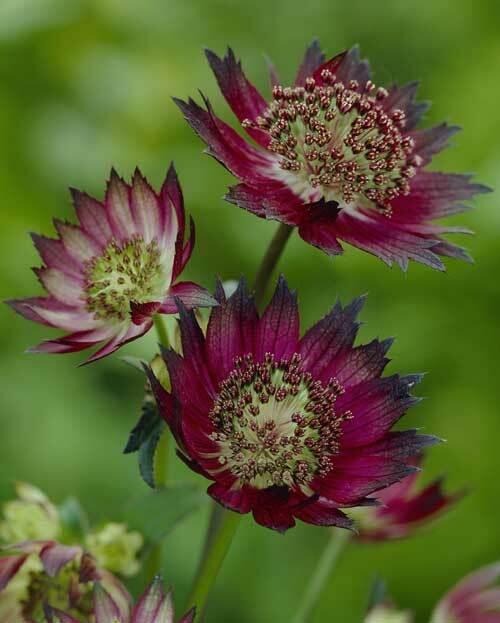 With rich living they are basically a dark red shaggy with purple flushed foliage. Japanese lantern buds open to striking pink octopus-like flowers. These bend gracefuly down from the upright flowering branches above strong, deeply cut foliage. 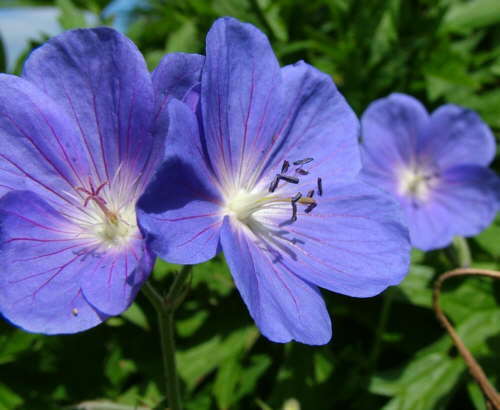 Long blooming time, tolerant and easy. 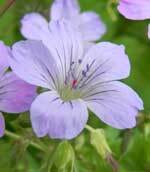 I think this is one of the best introductions of the last ten years, compact habit with clear blue white eyed flowers over a long time. 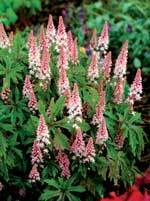 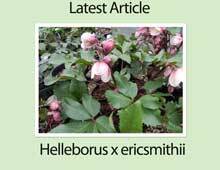 A plant that has become increasingly popular as gardeners recognise its quiet beauty. 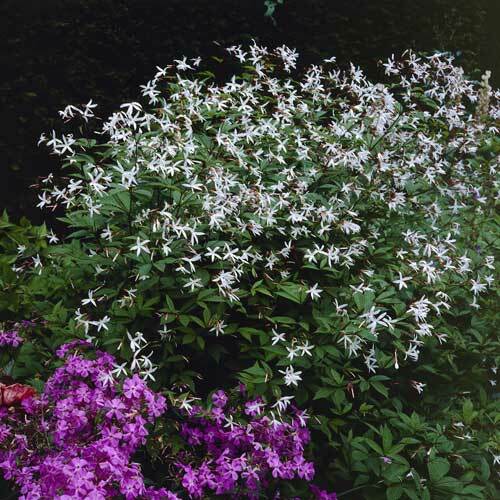 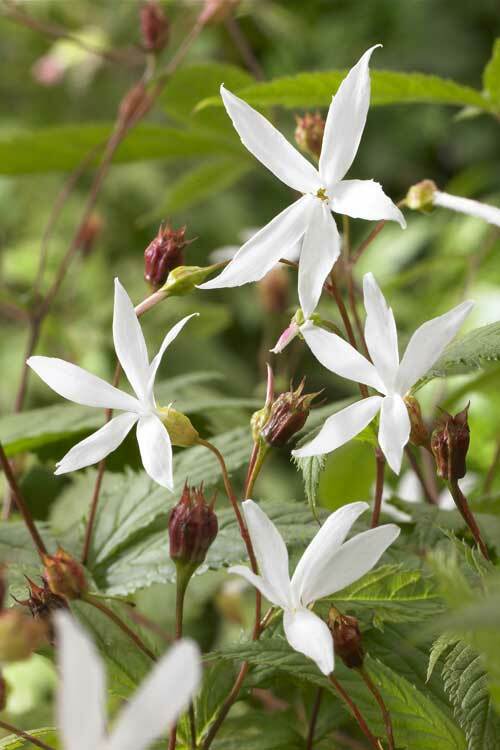 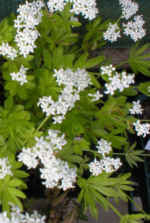 White star flowers that have a fluttering butterfly quality about them, reddish stems and calyxs, followed by berries and coloured foliage in Autumn. 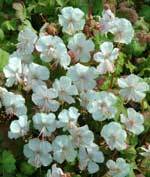 A semi-shaded well drained spot will have this flowering most of the Summer. 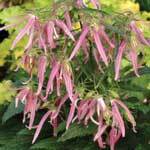 Use to the front of a shade border to fully appreciate its beauty. 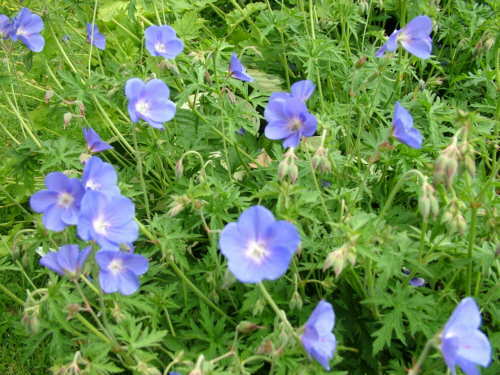 A rhizomatous perennial, that is gradually clump forming.